PRODUCT DESCRIPTION: Bellows type of duster which allows you to apply dust to plants, vegetables, foliage, etc. with accuracy and uniform flow so you don’t over apply it or waste material. This is our Crusader, which works just like the CB4, but has a larger bulb for holding more dust. This Duster is better suited for larger jobs where you need some type of extension for reaching under or into tight spaces. 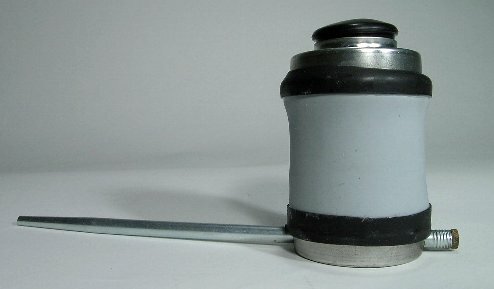 It features a rubber bulb and a metal extension and tip. Use it for products like Drione, Deltamethrin Dust, DE Dust, etc. The video below does a good job of showing how it’s used.